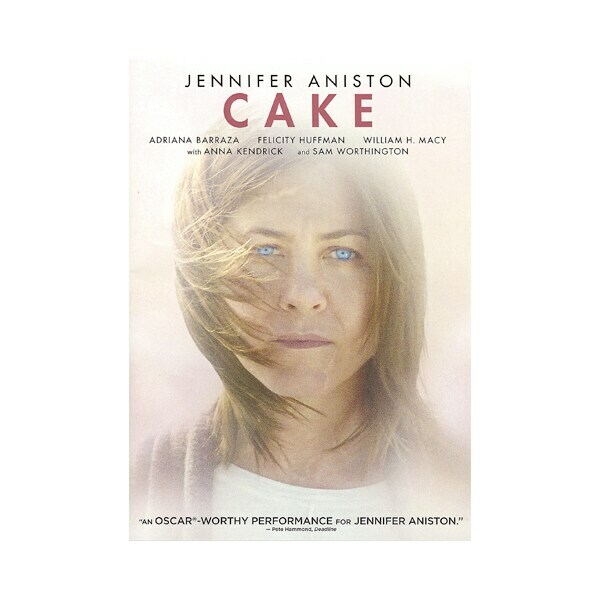 (Golden Globe Nominee for Best Actress/Jennifer Aniston) Taking a break from romantic comedies, Jennifer Aniston is Claire Bennett, survivor of a car accident that killed her son and has left her in chronic pain, in this 2014 film. Bitter and often insulting, Claire has alienated her husband and her friends, finding companionship only with her longsuffering housekeeper/caretaker, Silvana (Adriana Barraza). When an acquaintance (Anna Kendrick) from Claire's support group commits suicide, however, it shocks Claire into looking for meaning in life's many setbacks. The supporting cast includes Sam Worthington, Felicity Huffman, and Huffman's husband, the always reliable William H. Macy. DVD extras include two featurettes on the making of the film.